The height of sophistication in France is to serve layered desserts in small glasses at dinner and lunch parties. They call them Verrines, but in the UK we call them simply Divine Chocolate Desserts. 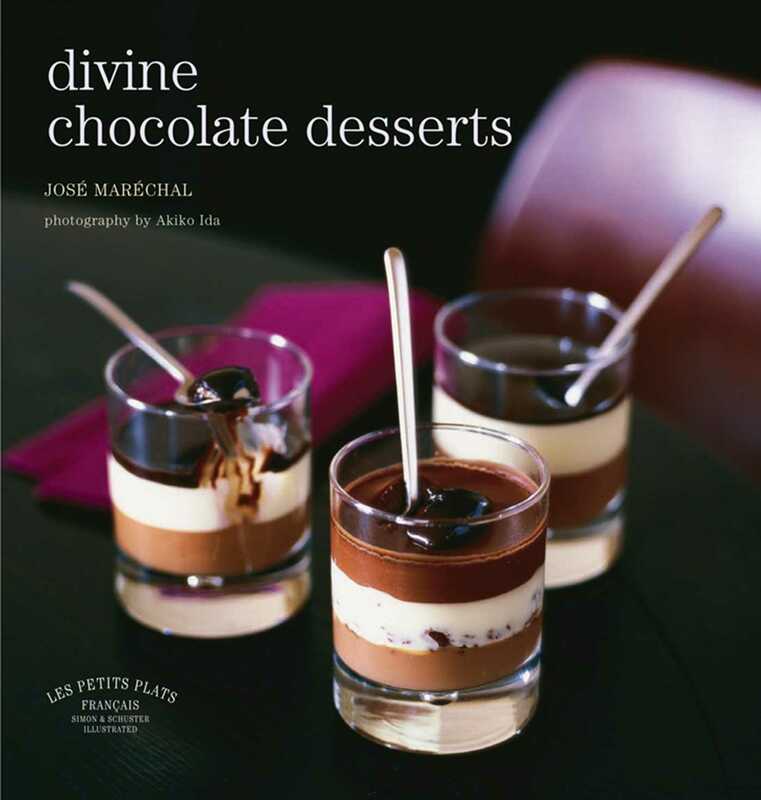 This title contains 33 original sweet treats including chocolate-mint, choco-citron, lavender truffle chocolate, coffee and chocolate granitas with crushed ice and Bailey's cream. All arranged in beautiful glasses to show wicked red and black jellies with glistening fruit, coffee, cream, white, dark and milk chocolate. Easy-to-make and irresistible to eat. José Maréchal is an established French pâtissier who runs the fabulous Café Noir in Paris.